That is the phrase that comes to mind for this movie. It was a mostly sweet, sometimes teary, always sassy homage to the original. The songs are fun and in line with those of the original, with one exception being a tune just a bit more ahem mature than one might expect. You will notice many parallels in story elements that are classic to Mary Poppins and rather than coming across as simply repackaged from the original, those elements imbue authenticity for who Mary would still be, even after all these year. Though, don’t ask her age. That would be impolite. If you still remember what it was like to be a child or need to be reminded, I hope you can find your way to the theater to enjoy this sweet holiday season treat. Keep an eye out for the many Easter eggs. You might even find yourself drawn to see it twice, just in case you missed something. About the Author ~ Joelle Heath grew up in Pennsylvania and attended college at Eastern Nazarene College in Quincy, MA. After graduating, she moved to sunny Florida. She teaches AP History at Cypress Creek High School and loves working with the great students and a terrific faculty. I received a free movie preview in exchange for writing a review on this blog. 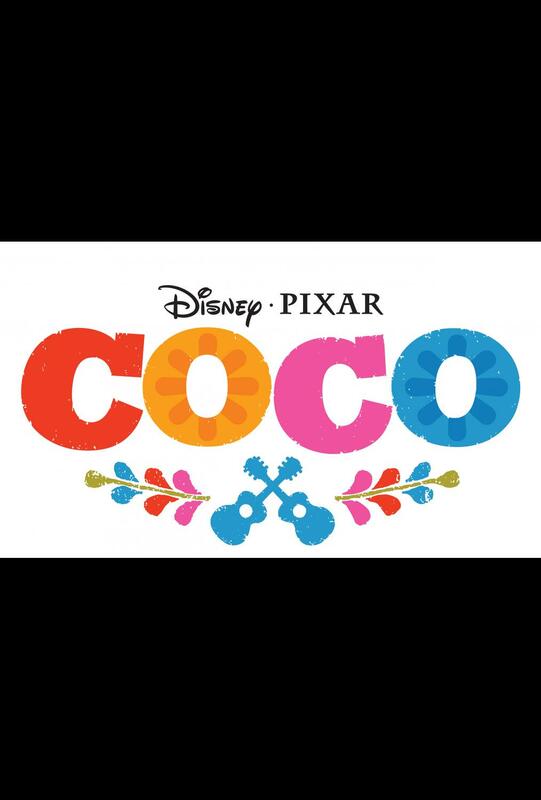 Last week, we were treated to our sneak preview premier of the newest Disney-Pixar movie, Coco. This is my humble review of the movie. I promise this will be a spoiler free review. The first thing I can say is that you simply HAVE to go see this movie if you enjoy any kind of good movies. 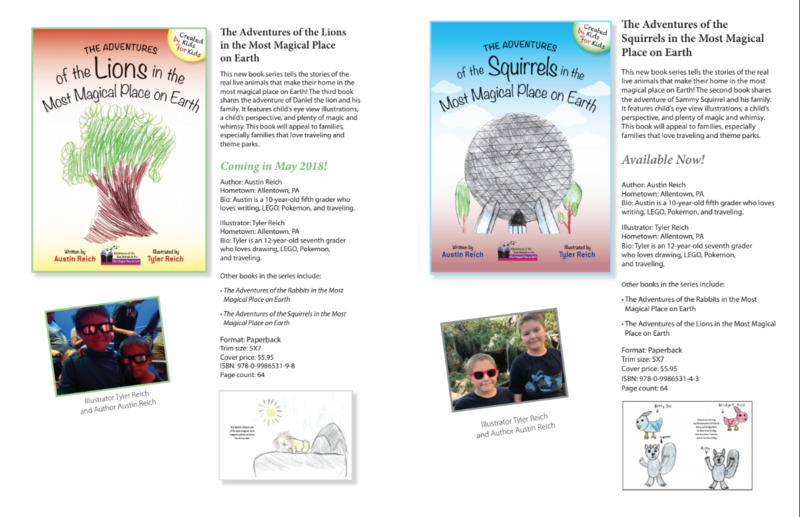 From the moment I saw the first artwork, I was drawn in to this colorful and magical world. Once the previews and teaser trailers started coming out, I got even more excited about the movie. However, I was not even prepared for how amazing and well thought out this movie is. 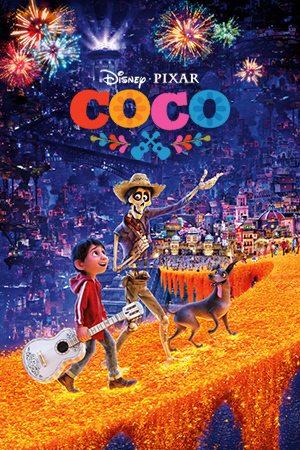 So what exactly is the premise of Coco, you might ask? 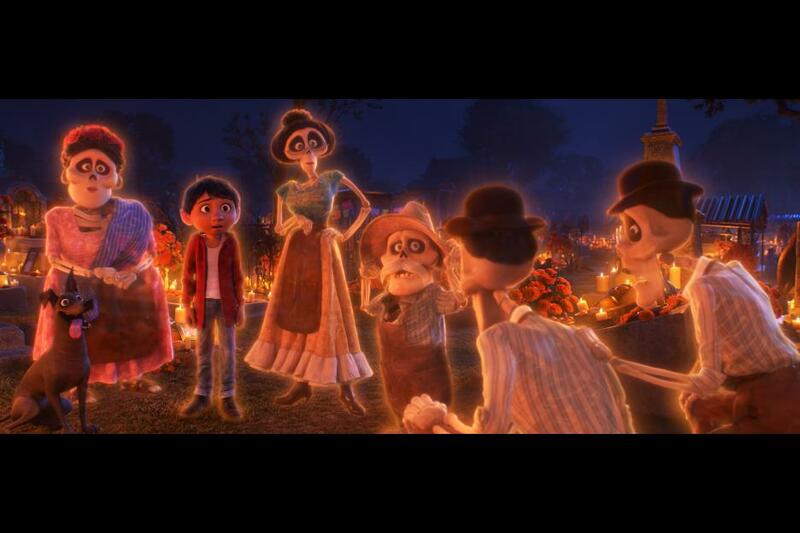 Well, this movie focuses on the family celebration of Dia De Los Muertos, or the Day Of The Dead. This celebration is a time where families lay out altars, or “ofrendas” filled with pictures of relatives that have passed on along with the family members’ favorite foods. This celebration is one time of the year, it is said, that the passed on may cross the universe and return (in spirit) to the living world and be with their families. 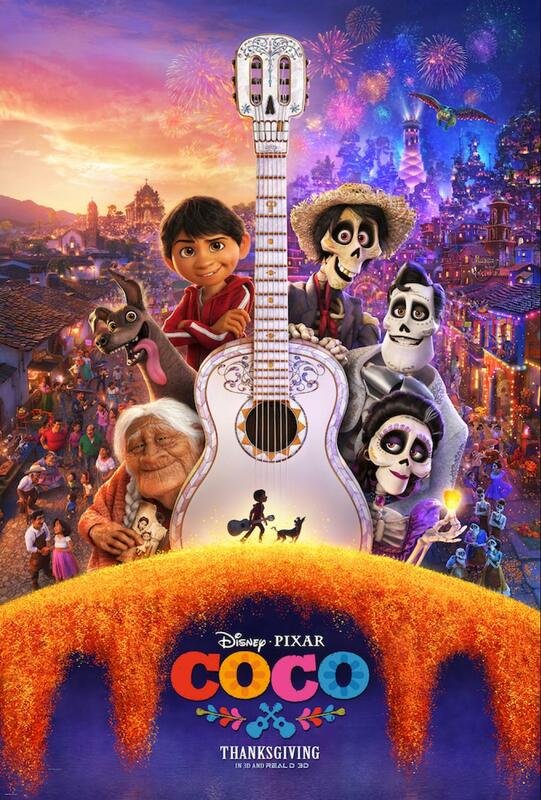 The movie focuses on the Rivera family, specifically young Miguel, as he fights his family for his right to be a musician instead of a shoe maker like the rest of the family. His family is against his decision because of an event that happens years ago, but Miguel is determined to be a musician, even if he has to do it behind his family’s backs. 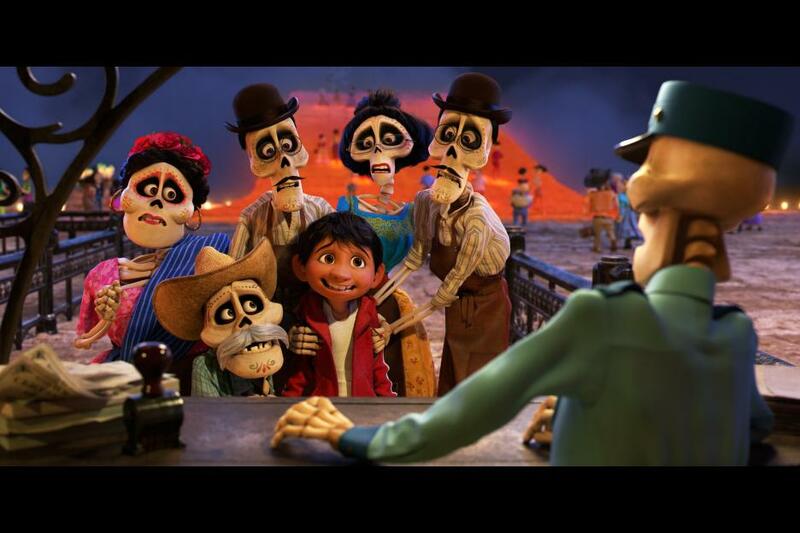 Through a series of comical events, Miguel comes face to face with his family on the “other side” and has to find his way back to the living world before the end of Dia De Los Muertos. However, along the journey of getting back, Miguel discovers that things are not always as they seem, including his family’s history. Finally faced with the truth, he must make a decision that could potentially change his life. Where will this decision take him? 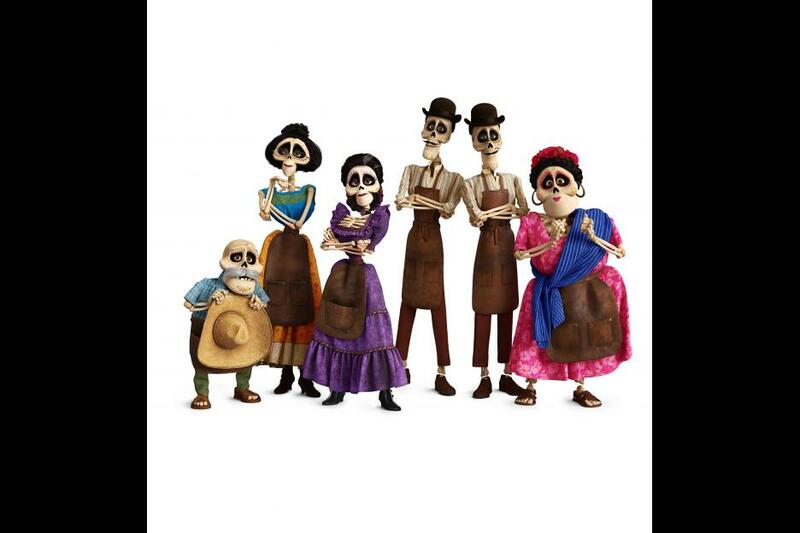 Well, for that answer, you must watch the movie, but I guarantee that it will leave you breathless with laughter and leave you with a deeper appreciation for, and better understanding of, the amazing culture of Mexico and Dia De Los Muertos. There’s also another thing in this movie that followers of Pixar Animation have come to expect and enjoy: the music and the characters. 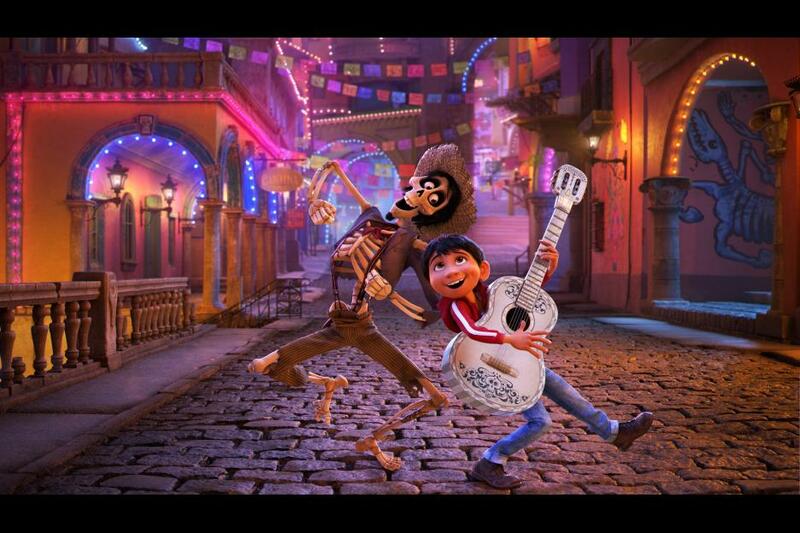 Music plays a very pivotal role in this movie, as has become a bit of custom for anything coming out of the studio, and I have to say that the music in this movie is every bit as good as the music from Frozen (sorry Kristen and Idina). I use this reference because the people behind some of the most memorable music in this movie are the same team from Frozen: husband wife team Kristen Anderson-Lopez and Robert Lopez. The music is just as catchy to me, and I look forward to hearing more from this talented duo. And the characters in this movie are so relatable. Whether you identify with Miguel’s Abuelita, a stern (at first) guardian of the family traditions who in the end just wants what’s best for her family, his Mama Imelda, who was so shaken by the departure of her husband that she bans music in the family forever (again, to protect her family), or Miguel himself, your sure to find a character to suit your fancy in this film, and leave wanting to know more about this amazing family. 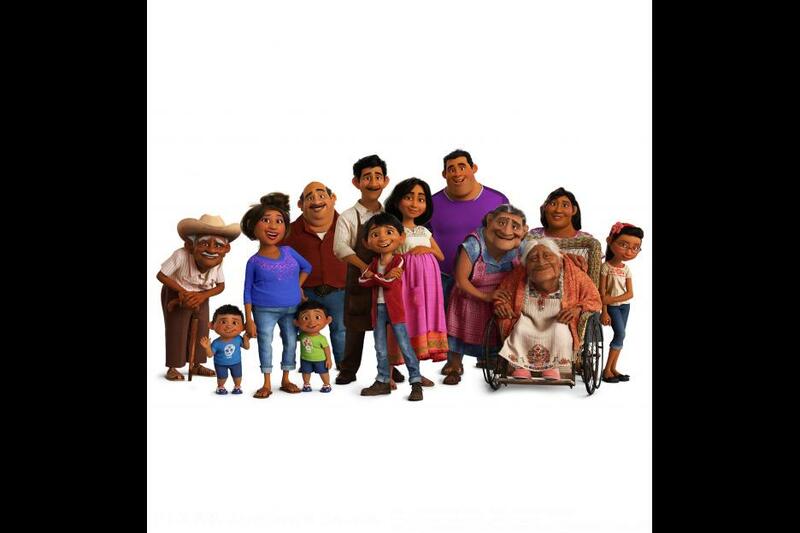 To find tickets, just go to http://movies.disney.com/coco. I promise you won’t be disappointed by this amazing movie, and honestly believe that you’ll want to take your family back again and again. Disclaimer: I received complimentary movie tickets in exchange for writing this review. This did not influence my opinion and all thoughts are my own. Enter to win a family 4 pack of tickets to Disney on Ice in Orlando – click HERE!! Ticket giveaway contest ends August 25, 2017. You can also buy tickets and Save 20% off select seats with code SAVE20. Not valid on premium VIP seating. Hurry for the best available seats! Code expires September 7, 2017. Tickets are for Disney on Ice show at Amway Arena/Orlando only. Winner will be notified by email they provide in the rafflecopter on August 25th and must email me back by August 26th 2017 at Disneyways@Disneyways.com to specify if you are able to attend either the opening night, Friday, Sept. 8, 7:30 p.m. or Saturday, Sept. 9, 11 a.m. performance. Sorry, no changes can be made once I notify Feld Entertainment of your choice. Winner can pick up (4) tickets at the Amway Center Box Office starting Thursday, September 3rd 2015 during regular Box Office hours (Monday through Friday | 9am to 6pm and three (3) hours prior to any event). We recommend picking up your tickets no later than 30 minutes prior to show time. Paid parking is available in the nearby GEICO garage. Tickets provided by Disney on Ice/Feld Entertainment – Disneyways is not responsible for delivery. Disney’s Moana voyages onto the ice for the first time as Disney OnIce presents Dare To Dream, produced by Feld Entertainment Inc., brings courage and adventure to hometowns across North America. Hosts Mickey Mouse and Minnie Mouse bring audiences on an expedition across raging seas and snow covered mountains in this action-packed extravaganza featuring Disney’s Beauty and the Beast, Frozen, Tangled and Cinderella with other beloved Disney characters to help tell these extraordinary tales. Tickets are on sale today for Orlando. Confirmed speakers so far include Ron Schneider, Tom Nabbe, William “Sully” Sullivan! Come to the Florida Disney Collector Show on December 3rd 2017 from 9am to 4pm! Just $6.00 for adults – payable at the door. Twenty five vendors, pin trading, and so much more! Check out the graphic above or visit the facebook event page for more info!